According to records, there were seven large XRP transactions on January 1st, 2019, which have moved around $1.1 billion in XRP. This has become a regular occurrence in XRP ecosystem, wherein every month a large amount of XRP is being released from an escrow account, and become available for Ripple’s use. As soon as 2019 officially started, a high volume activity was noticed in the XRP ecosystem. The amounts moved were massive, and according to past reports, this is not the first time that large quantities of XRP changed hands between wallets in only a few hours or even minutes. According to the Twitter account Whale Alert, there was a little more than 2,900,000,000 XRP, worth 1,069,000,000 Billion USD that changed hands in a matter of minutes. Those XRP were divided into seven different transactions were the largest one moved 1,108,302,304 XRP, worth a little bit more than 392 million USD. It seems like the first and the second transactions went out from the same XRP address which was identified as Ripple Escrow Wallet to two unknown XRP addresses (300 and 500 million XRP worth together almost 280 million USD). When looking at the third and the forth transactions, it seems like nearly the same amount that was sent to the two addresses in the first two transactions were moved to unknown addresses. In the fifth transaction, we are observing 200 million XRP that moved from Ripple Escrow wallet to Ripple OTC Distribution wallet. The sixth transaction, which was the largest, moved a more than a 1.1 Billion XRP (392 million USD) from Unknown Wallet to Ripple OTC Distribution wallet. Another amount of 107 million XRP left the OTC Distribution wallet in the seventh transaction, only to be sent to an Unknown wallet. So why those transactions happened? 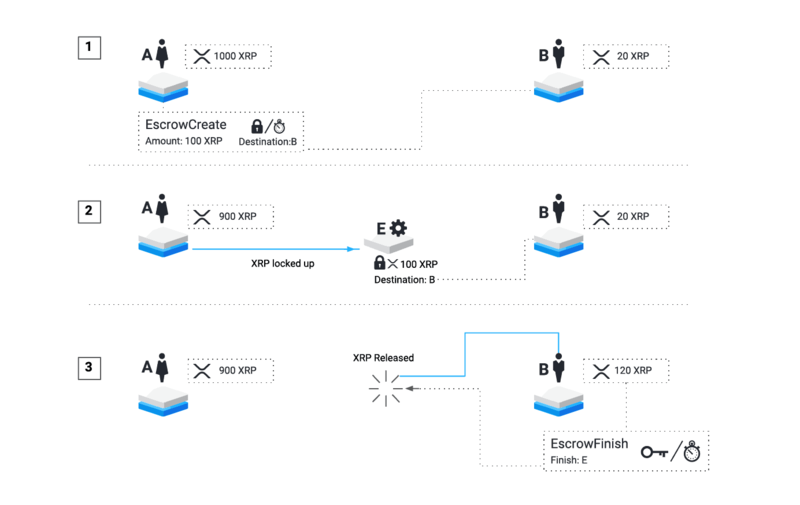 Ripple explains the Escrow feature by stating that it allows parties to “secure XRP for an allotted amount of time or until specific conditions are met.” In other words, XRP senders can include their conditions regarding the details of the payment, including the amount, the exact time of the transactions, and alike. Ripple holds today 55 billion XRP. To make certainty about the XRP supply in the market Ripple established an escrow account which is connected to 55 contracts. Each one is supposed to release around 1 billion XRP, with their expiration dates being the first day of each new month. After the contracts expire, the coins become available for the company’s use, and the tokens are mostly used for different incentives. In case there remain some leftovers, the company returns the money to escrow, and this tokens will be released in a new contract in the future. The post Ripple Transferred $1.1 Billion XRP (Here Is Why) appeared first on CryptoPotato.